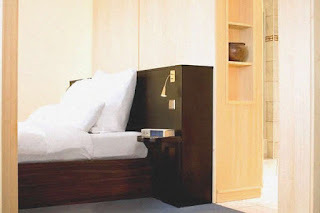 Le Meridien Ogeyi Place is a luxury hotel offering ultimate designer decor, high-quality amenities, excellent personalized service and superior attention to detail. 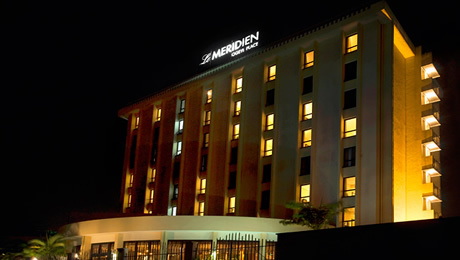 Le Meridien Ogeyi Place offers 86 Deluxe Rooms & Suites, fully equipped with complimentary high speed internet access. 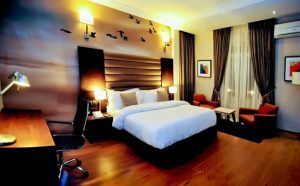 Located in the heart of the beautiful city of Port Harcourt – the capital city of Rivers State, Le Meridien Ogeyi Place is situated in a premium location good for both business and leisure travellers. 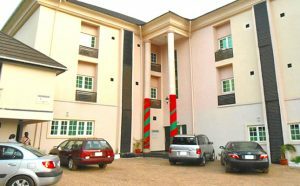 Also available at the Le Meridien Ogeyi Place is a complimentary high-speed wireless and wired internet access in both room and public areas. 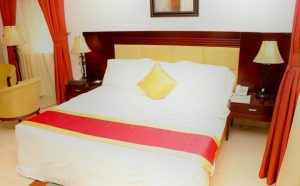 The hotel also offers a meeting and conference room, technology support staff and audio visual equipment. 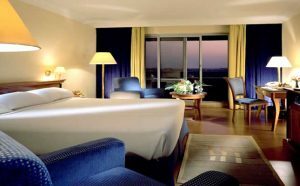 Le Meridien Ogeyi Place rooms are elegant, tastefully decorated, spacious and comfortable with windows open offering panoramic view of the city. 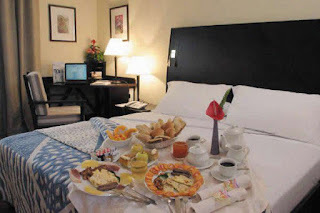 Le Meridien Ogeyi Place rooms also feature mini bars and coffee/tea makers, bathrooms with bathrobes and hair dryers, 32 inch LCD televisions with DVD players, daily housekeeping is available etc. The hotel is managed by a team of professionals, friendly and helpful individuals with a mission to make guests feel at home. Stay on the city side and appreciate “the Garden city of Lights” with a wonderful view of Port Harcourt City. *King Sized double beds, *Temperature control etc. 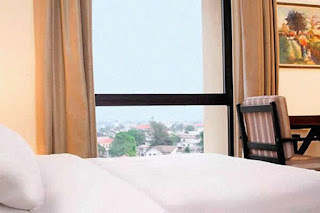 Offering exhilarating experience and a wonderful view of Port Harcourt City. Simply limitless. *40″ HD LCD TV/DVD player, *internet access etc. It’s a timeless intriguing escape from this suite. 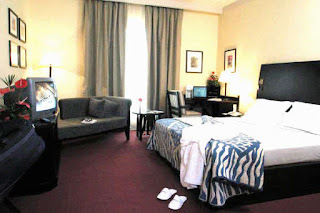 Diplomatic Suite offer spacious rooms and maximum comfort. *Two separate deluxe rooms, *Three points bathroom etc. Ororo Restaurant opens offers mouth watering cuisine of Nigeria and the rest of the world, from the chef’s specially selected a la carte menu and an ideal full buffet variety. Unwind in this all day dinning while also enjoying a wonderful view of the Polo field, pool terrace and also discovering contemporary African art, a memorable escape into African history. The staff can assist you in choosing the right wines for the right meal and moment. In addition, you can dine in the hotel’s bubbly swimming pool area. Located opposite the Ororo restaurant, the bar is opened 24 hours a day to serve a variety of beverages from soft drinks, cocktail aperitifs to nightcaps with light snacks, accompanied by live evening Jazz or piano music. In addition to the Fitness Centre which is equipped with the latest in fitness technology from treadmills to weights, guests can also relax as they take a dip in the Swimming Pool or lounge by the poolside with a native cocktail. Le Meridien Ogeyi Place is the perfect venue for your next event or meeting, elegantly designed halls with natural daylight in abundance. Discover the effectiveness of our Banquet and Meetings team and leave the coordination to we ensure your meeting is highly productive and intriguing.